Hello Guys, I m an English Teacher from Brazil. It s a pleasure sharing my worksheets w/ all of you! This is a simple board game that I made for my upper-intermediate students. They really like it cause there are lots of topics to talk about. Enjoy! This is just a Board Game that I made for my Intermediate Ss, but it also works very well with Advanced Ss. Hope you like it! 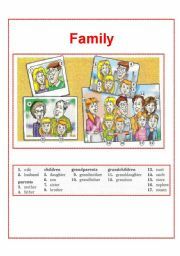 That�s a very good ws to teach words related to family members! This is a very interesting game that I always play with my students! Come up with unique answers for each category. Score points if your answers are different from all the other teams� answers. Win by scoring the most points! Hope you like it! 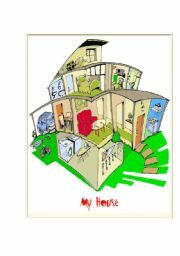 You can use this to teach about the parts of a house or to teach �bout furniture. 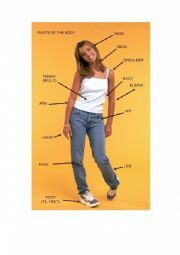 If you work with teenagers they�ll love learning the parts of the body with Miss Spears! Hope you enjoy it! 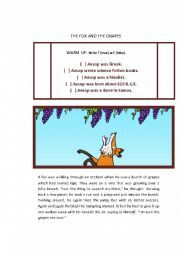 The fox and the grapes! My students love Aesop and I hope your students love him too. 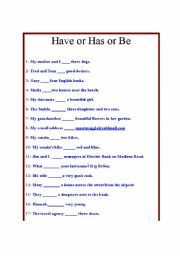 That�s a worksheet on "How and Compounds" I made for my pre-intermediate students. Hope you like it! 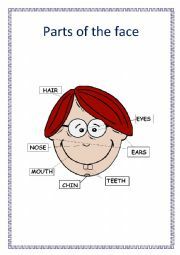 That�s a flash-card to teach the parts of the face. have or has or be to drill. This is a great power point presentation on either, neither, so, and too. Hope you enjoy it! 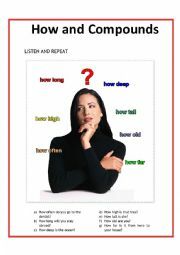 This is a very useful ppt that I always use to teach phonetics. Hope you enjoy it! 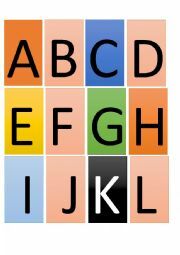 This a very useful and practical Phonetics exercise. Hope you enjoy it!